A group of activists in Portland, Oregon, who protest against the US government's migrant policies beheaded a pinata styled as Donald Trump. The execution was carried out by a guillotine adorned with a sign saying, "Brick by brick, wall by wall, we will make the borders fall." — John (@JohnAcker6887) 18 июля 2018 г. As the pinata’s "head" was cut off, the protesters cheered and went on to collect the candy spilling out. According to The Daily Caller, the "head," which was at first thrown by one of the protesters toward the crowd, was eventually placed under the guillotine, with a bystander remarking "That’s perfect." 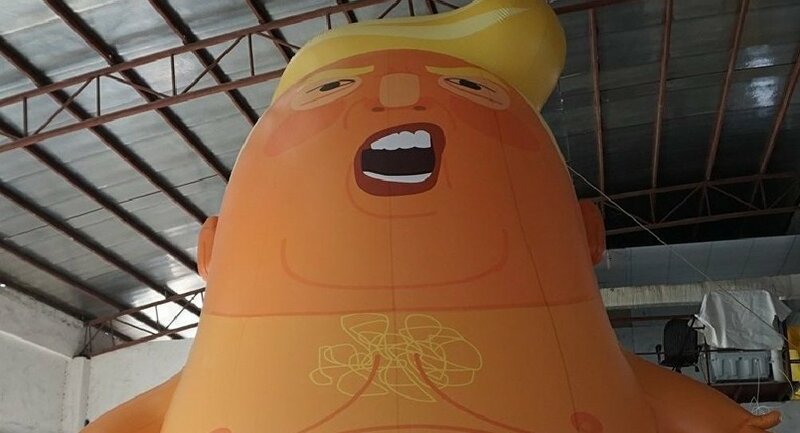 Earlier this month, protesters in the UK who staged an anti-Trump rally during the US president’s visit to the country mocked him by flying a giant balloon portraying Trump as a screaming toddler.